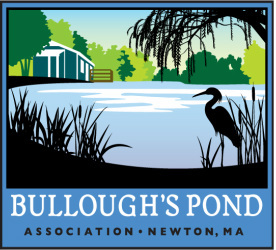 The Bullough’s Pond Association enjoys the generous support of its loyal members and contributors. Members assist with pond monitoring and clean-up days, and volunteer to assist with fundraising and other activities consistent with the Association’s mission. Contributors, through their tax-deductible donations, make possible many of the BPA’s initiatives on behalf of the pond.